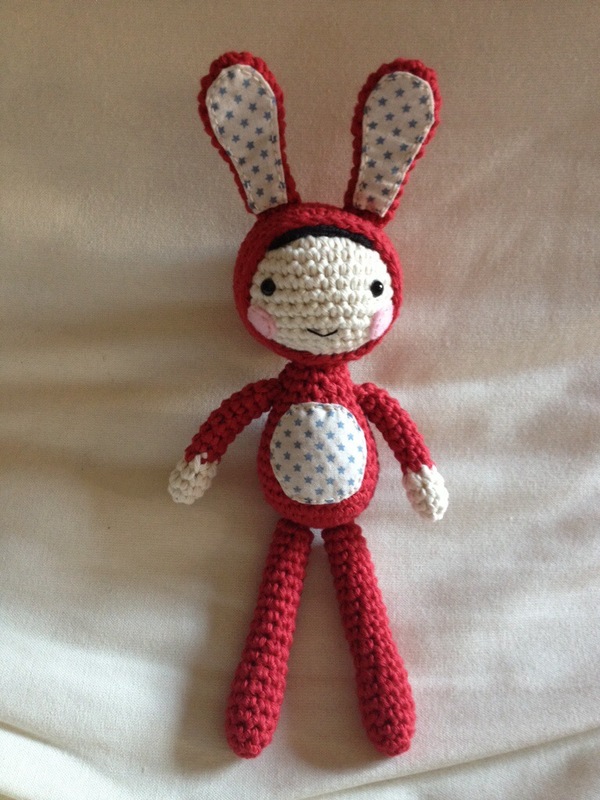 A good few months ago I made a couple of red bunny rabbits as commissions for friends at work. So when another friend in the office asked for a similar red rabbit, I was quite pleased to go back to an old favourite. 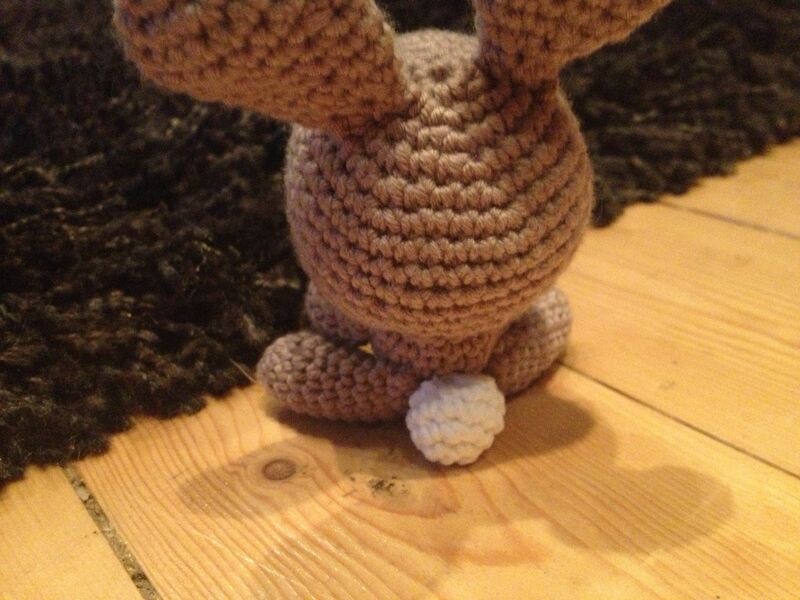 But as I’ve got a bit better at crochet and how to create different shapes, I’ve modified the design a bit. I wanted to try different ears with a less flat design, and also a body and legs that are a bit more flexible. I wasn’t 100% sure it would work, but this one actually sits up on its own (with a little bit of help from the little bobtail stitched on the back of it). I’ll be getting the pattern for this one typed up and on to Etsy soon (I have signed up but not yet found time to upload any patterns), so watch this space if you fancy making your own. 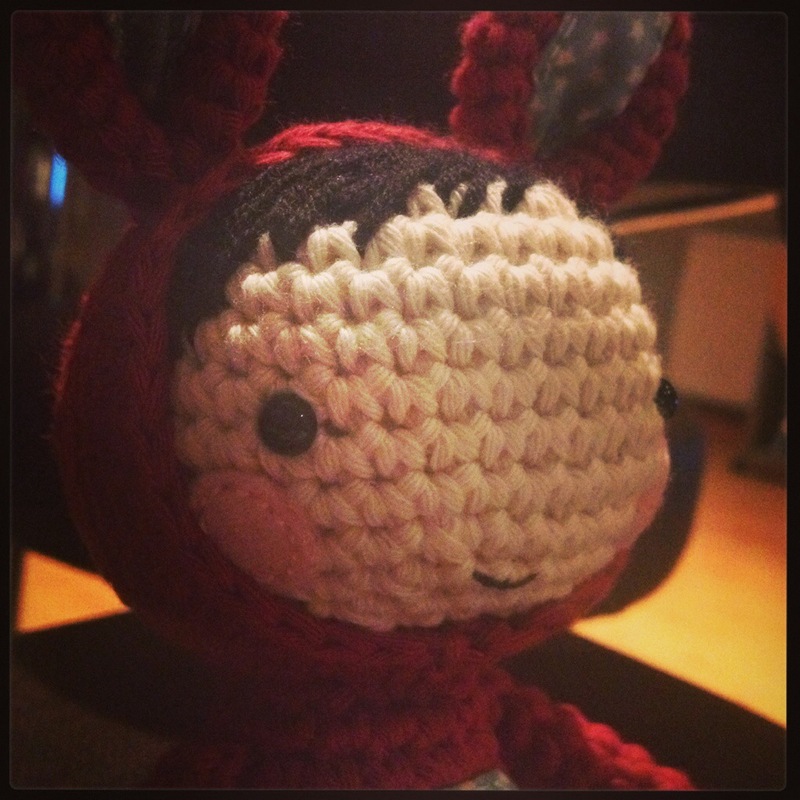 This entry was posted in Crochet and tagged Amigurumi, Crochet, gifts, handmade, Rabbit on October 31, 2013 by katescrochet. Another long day in the office today but tonight I’ve finally had chance to put the finishing touches to my latest bunny person. I have now completed three and so far each one has been different and unique. I have four more orders for these and I’m hoping to keep each one unique. Somehow makes it more special I think. I am looking forward to a day off work tomorrow after many many hours in the office over the bank holiday. I’ve got a half-hour run planned but other than that it will be creating and crocheting all the way. More bunnies will be started but I’m also planning to do a bit of stash-busting and start a bit of a stitch-sampler patchwork blanket type affair. I really need to try to cut down my yarn collection… if only so I feel less bad about buying more. 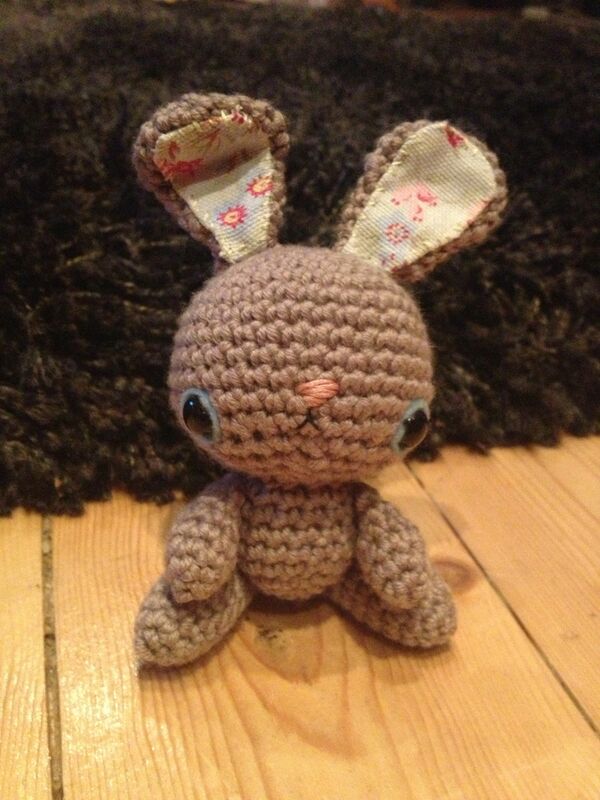 This entry was posted in Crochet and tagged Amigurumi, Crochet, handmade, Rabbit on May 7, 2013 by katescrochet. 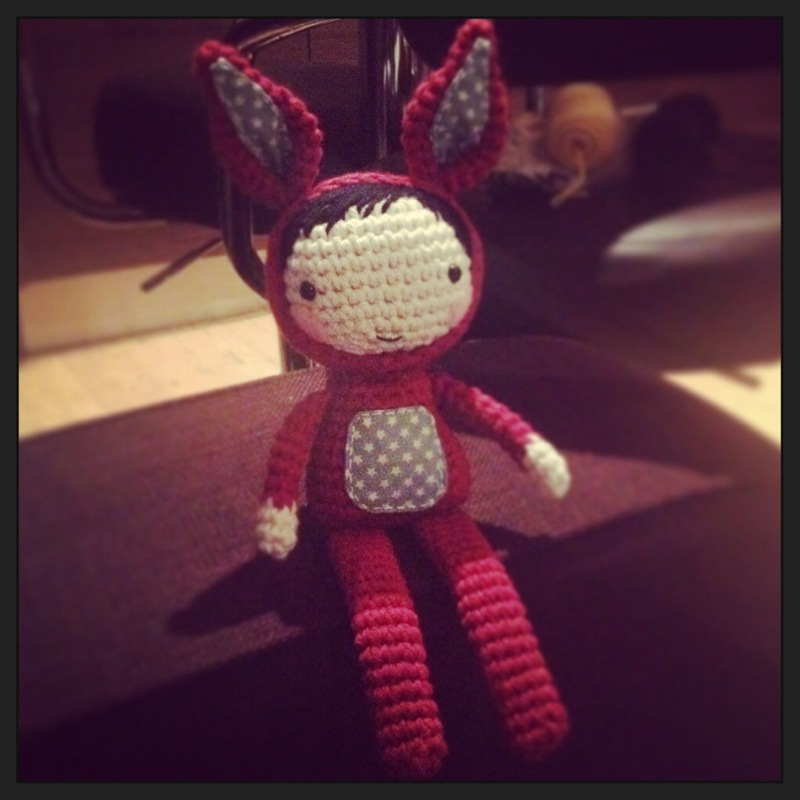 I made this little bunny rabbit weeks ago now and have been meaning to make more ever since, in various colours and with different fabrics. 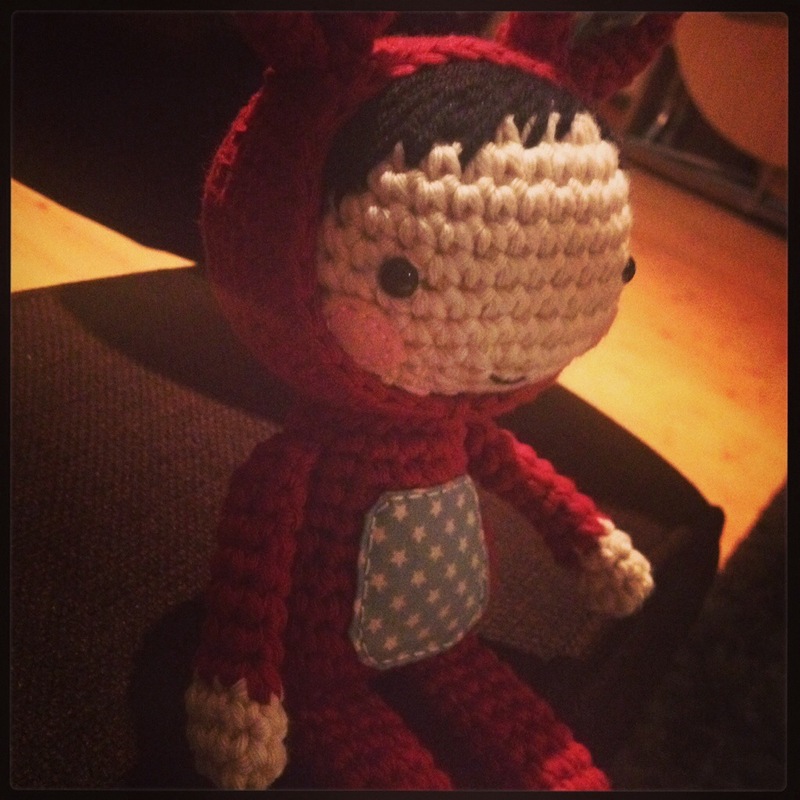 It’s my own design – one of my first attempts at amigurumi (cute Japanese crochet creatures, for anyone who’s wondering). Really good fun to do but with other projects and life in general taking over, I’ve not made another yet. In my head I can see a whole row of them in pretty colours sitting on a craft stall or a yet-to-be-started online shop. 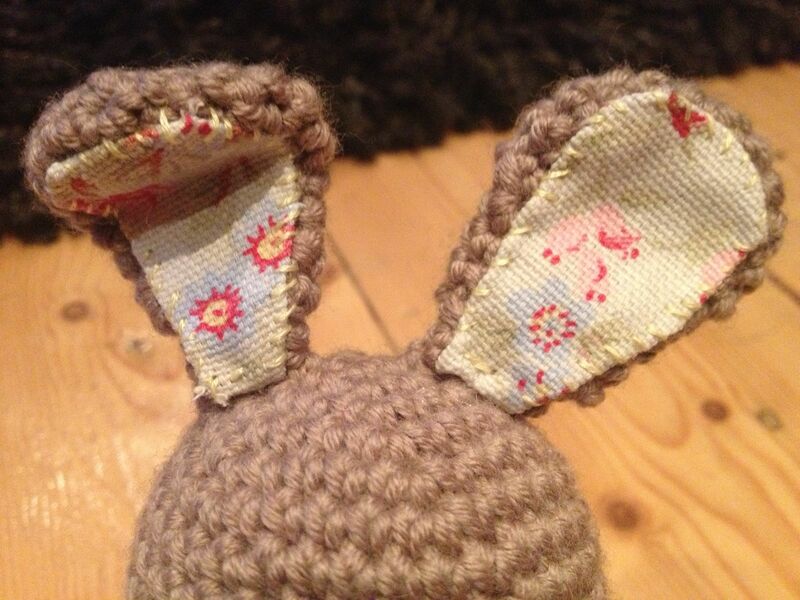 The fabric on the ears is some Cath Kidston scraps I had left after various sewing projects a few years ago – it’s a really good way of using them up. And I have plenty more where they came from! The little tiny white bobtail is my favourite bit. Fiddly but worth it… and it stops the little critter falling over! 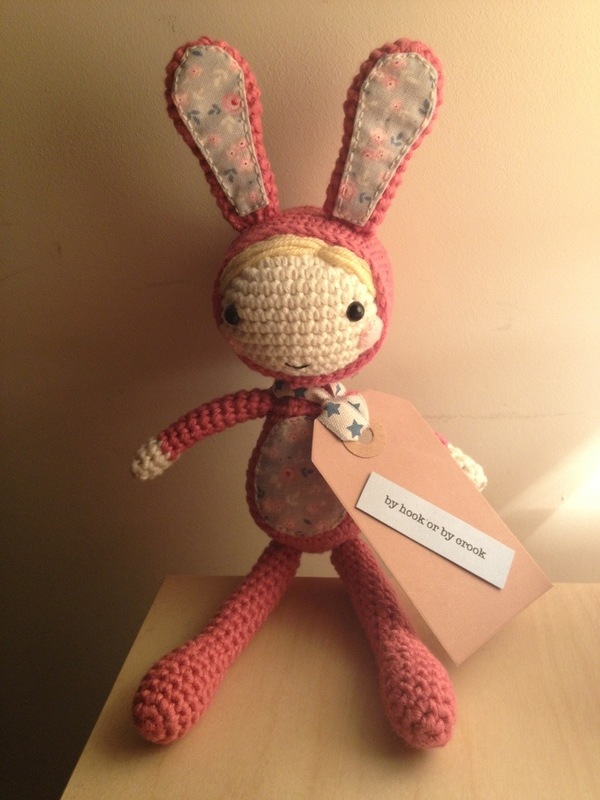 This entry was posted in Uncategorized and tagged Amigurumi, Cath Kidston, Crochet, Rabbit on April 4, 2013 by katescrochet.